Why should you choose the City Tour? Because, you are an adventurous and curious traveler who wants to discover Barcelona from a different perspective. 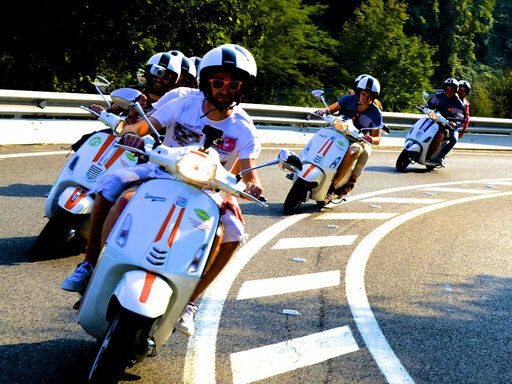 Join our local guide and drive your Vespa scooter with us and make new friends from all around the world! This new alternative sightseeing tour of Barcelona is the best in town, since it covers the most important places of the city and many hidden spots usually unknown even by locals. Explore Barcelona starting from the Sagrada Familia, enjoy Tibidabo's views, visit the old town, the fabulous beaches and much more! The Barcelona Scooter City Tour lasts 4 hours riding for more than 50km. 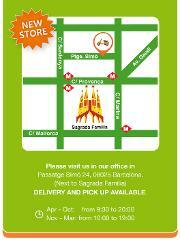 We met in our nice store next to Sagrada Familia and at 10am a new adventure starts! Check availability on the green box! Choosing the Barcelona City Tour you have the opportunity to really enjoy the city, meet new friends and to let us worry about the rest! IMPORTANT: Tour will be held if a minimum of two vespas is reached, otherwise you can choose to be fully refunded or switch to the GPS Guided Tour!